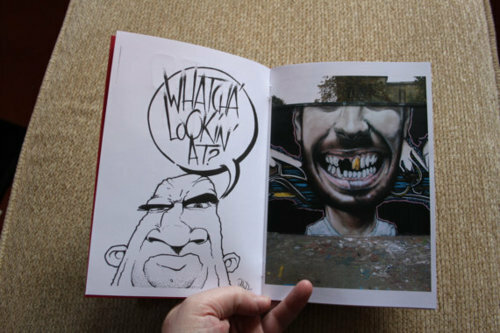 London’s Blam got in touch last week to let us know his new fanzine is coming out. The limited edition 16-page A5 fanzine has laser cut and hand finished covers. There’s a full colour centre spread pullout and sticker. They’re all unique, stamped , numbered and signed. 1 in 10 fanzines is a Silver Deluxe hand-painted edition. For six quid that’s pretty good freaking deal! Check out http://www.etsy.com/shop/blamella to pick one up. 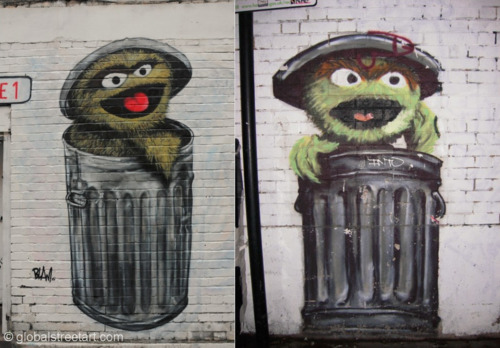 Blam was responsible for one of the most photographed pieces of street art in East London around 2008 - an Oscar the Grouch well placed between some large dumpsters on Old Street. It was one of the highest visibility pieces for as long as it lasted. 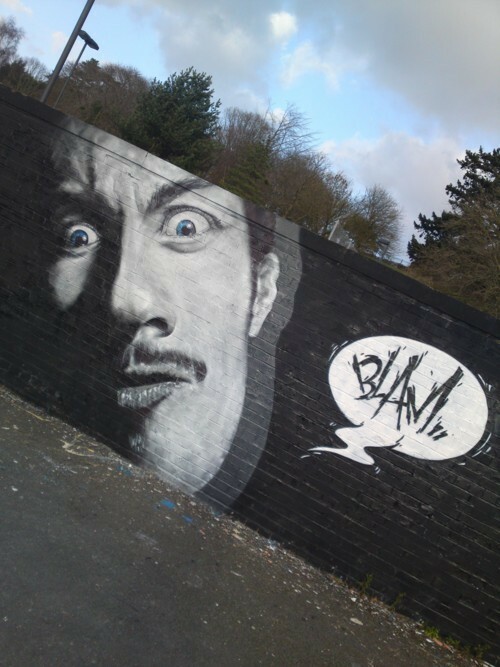 Blam revisited the piece in a different location last year. I’ve always drawn from a young age but I started graffiti in 2002 with stickers. I got into the painting later that year. From there I progressed to letter pieces; I always liked to do characters so I continued to draw and develop that side of things. I moved onto photorealism after a few years and tried to get as good as possible both with a spray can and with hand painting. I’m currently looking into toys and sculptures. That’s one for the future! 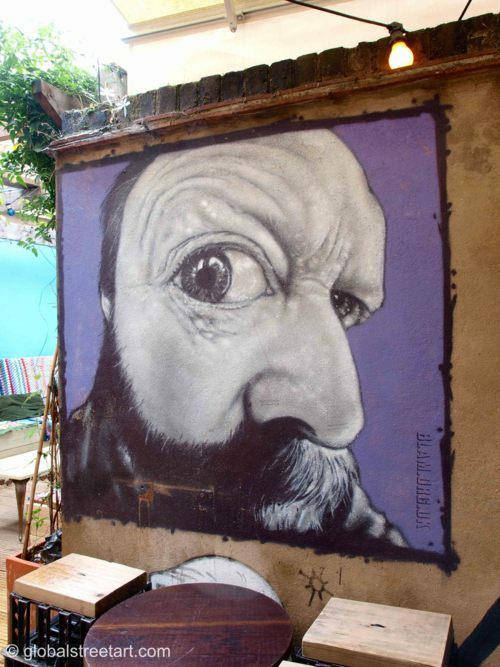 There’s some good writers in London right now but also several who are not very original and it seems as long as you paint Shoreditch then you’re well-known; not always a positive thing but overall I think there’s a good scene right now.